A while ago, there was a meme that parodied the general publica��s perceptions of a particular profession (what my parents think, what society thinks, what my girlfrienda��s pet poodle thinks, etc.). It was funny at first, but the laughs considerably decreased with every other wiseguy flooding the web with a�?in-jokesa�? to articulate the grossly misunderstood hardships of being a CA or a DJ or something else, while seeking to engender fraternal bonds with colleagues theya��d tag on the post. If wea��re talking stereotypes and start-ups, therea��s the idea that all successful entrepreneurs drop out of college and possess an inveterate proclivity for wearing flip flops everywhere. Or, pertinent to this weeka��s column, the notion that all start-ups are based in garages, which magically transform into booze-addled frat houses after a long day of coding. This is why Ia��m grateful for coworking spaces, a concept thata��s really redefining work culture for entrepreneurs and start-ups that are low on infrastructure. 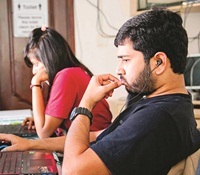 The idea of providing space (desks, meeting rooms, Internet access, coffee machines) for start-ups and entrepreneurs has mushroomed across the city recently. Cobalt BLR, with its high-rise view of Church Street promises a�?serendipity@worka�?. 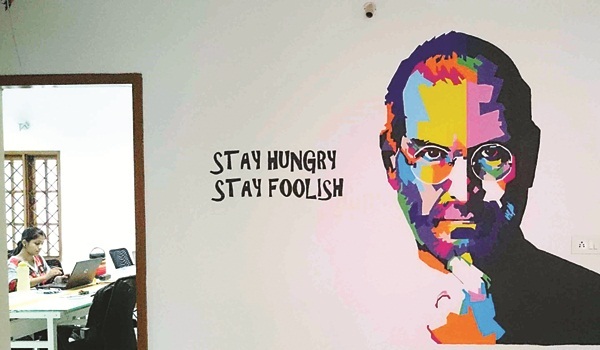 BHive hosts a varied cross-section of entrepreneurs and start-ups across three different coworking spaces. CoWork CafA� brands itself as synonymous with a�?CoWina�?, and going by the number of pizzas its occupants have delivered, Ia��m not inclined to disagree. And while wea��re talking F&B, no list is complete without Church Street Sociala��s top-notch cafA�-meets-workspace vibe. A freelance architect friend, who used Cobalt BLR to finish a project, found that coworking helped her work ethic. It was like going in to an office, minus the water-cooler politics and someone constantly peering over your shoulder or showing you a cat video on their smartphone just when youa��re in the zone. Solitude aside, coworking also offers collaborative potential. Apart from simply renting space, it provides entrepreneurs and freelancers the opportunity to partner on projects, sound off ideas or simply shoot the breeze over shared work interests. Plus, there are workshops and interactive sessions, if youa��re so inclined. Alex Hillman, coworking guru and purveyor of work-ethic wisdom that he distills from starting one of the longest running coworking communities believes that this movement thrives on community building. Redefining work spaces beyond bricks and mortar to include a novel approach to work culture is the perfect breeding ground for creativity. Because, on a fundamental level, as Hillman puts it, a�?most of us arena��t very good at working with othersa�?.